Our Series on Cold War 2.0 continues with Russia’s foreign interventions. From the Syrian crisis to assassinations carried out in Western countries, Russia has been increasingly active abroad in recent years. You missed Part 1 and 2? Find them here and here. The biggest clash between Russia and the West in recent years was probably on the occasion of the Syrian Civil War. 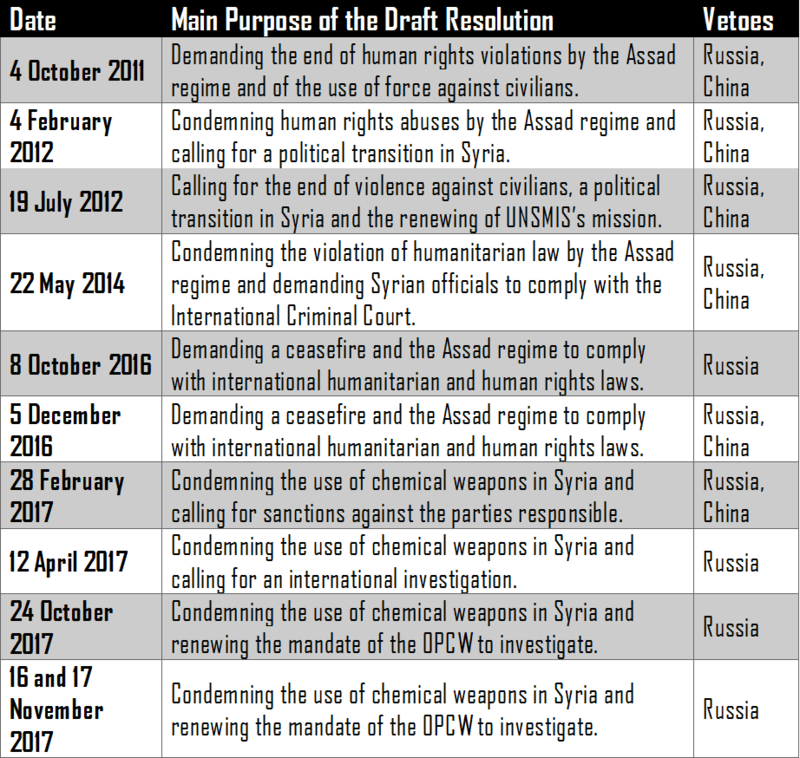 Russia’s (and China’s) blocking of a number of UN Security Council Resolutions and later military involvement on Bashar al-Assad’s side further complicated the already complex conflict and postponed its peaceful resolution. 2011 became a key year for the growing tensions between Russia and NATO allies. The Syrian conflict, in particular, crystallized the opposition between pro and anti-interventionist parties, leading to a major political and humanitarian crisis in the Middle East and Europe. This Syrian deadlock is rooted in the 2011 Libyan crisis and the military intervention led by NATO. The US, the UK and France were then accused of betraying the spirit of the UN resolution (which only sought to impose a no-fly zone) and forcing a regime change in Libya. Trust was undeniably broken at that occasion and Russia, along with China, later blocked any Western attempts to legally intervene in Syria against Bashar al-Assad. Moreover, Moscow decided to take part in the civil war alongside the Syrian president and against groups backed by the US and its NATO allies. Relations between Russia and Syria had already been deepening prior to the outbreak of the civil war, due to the gradual international isolation of Bashar al-Assad’s regime (because of its involvement in Lebanon and in the Israeli-Palestinian conflict). Assad and Putin came to power around the same time in 2000 and this proved to be a good opportunity for both to refresh the relationship between their two countries. After the peaceful protests of the Arab Spring turned into a bloody civil war in Syria, it was initially agreed by both the Syrian and Russian governments that foreign interference should be avoided. Indeed, apart from vetoing a few UN resolutions that condemned the Assad regime for human rights violations, Russia stayed out of the conflict. The first major break between Russia and the West came in 2012, after the first Geneva Conference aimed at bringing an end to the conflict. The US suggested that the departure of the Assad regime should be a precondition for peace talks. Russia, on the other hand, made it clear from the beginning that political transition could not be imposed from the outside and that Syrians would have to decide who would rule their country after the war. Though a temporary agreement between the US and Russia was reached the next year, condemning the Syrian government’s alleged chemical attacks against rebels, it was nothing more than fulfilling Russia’s main goal of keeping foreign militaries away from Syria. To underline its commitment to let Syrians solve the conflict by themselves (and to make sure the Assad regime stays in place), Moscow hosted the Syria-Syria dialogue between the government and the opposition twice in 2015. However, by that time the Islamic State had become a serious actor on the Syrian battlefield and pressure grew on the international community in order to find a solution before military intervention could not be avoided any longer. Russia even went as far as settling its tense relations with Turkey, which gravely deteriorated following Turkey’s shooting down of a Russian aircraft in November 2014. This new partnership led to the formation of a joint Russian-Turkish commission aimed at formulating a strategy to detect trafficking of terrorists and stop weapons flow into Syria through the Turkish border. Russia’s increased diplomatic efforts also led to a tighter cooperation with Syrian Kurds, with the Kremlin urging the UN to include them in future peace talks. Additionally, Russia drafted UNSC Resolution 2199 in order to halt the illegal trade of oil and the sale of cultural antiquities from Syria and Iraq, thus cutting some of the financial resources of terrorist groups. The resolution was unanimously adopted by the UNSC. In September 2015, Moscow announced its decision to intervene militarily in the form of airstrikes against ground targets held by the Islamic State. 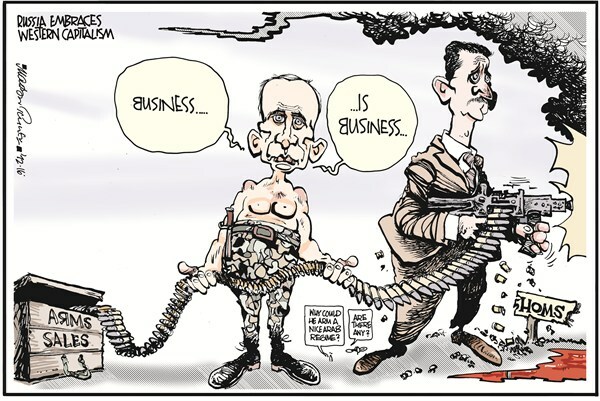 The Russian intervention was in response to the request of the Assad government. Though the official purpose of the Russian military involvement in Syria was to fight terrorism (to annihilate the Islamic State), it also sent a message to the West. In March 2016 Putin announced that the mission was “on the whole accomplished” and ordered the withdrawal of the “main part” of Russian forces. By pulling out of Syria, Russia meant to emphasize that it keeps to its word and that the operation was solely a counter-terrorism one. The withdrawal also meant to show that Moscow does not want to interfere with another country’s internal affairs. However, a deadline for withdrawing troops was not announced and Russian military bases kept functioning with Russian soldiers on the ground. Therefore, Russia never really left Syria and still provides combat support to Assad’s government on an ad hoc basis, often using the pretext of fighting terrorism. Putin also wanted to make it clear that Russia is a relevant player in the Middle East. In October 2016, the Admiral Kuznetsov, Russia’s Soviet-era aircraft carrier was deployed at Syria’s Tartus Port, a Russian naval facility on the coast of the Mediterranean. The presence of the warship did not only illustrate that Russia is a capable, modern military player, but it also aimed to send a message to the West regarding Russia’s commitment in the region. Syria thus became a theatre to test out modern Russian military equipment and doctrine. Nothing proves the importance of this more than the fact that, since the end of the Cold War, Syria is the first instance where Russia actively got involved in a conflict outside of its traditional sphere of influence (the former Soviet Republics). At the same time, by buying time for the regime, Russia might not only be playing for political advantages, but economic ones too. The longer the Syrian government is in place, the more opportunities the Kremlin could gain to exert its influence in the country, now and for the future. The Syrian government is already economically reliant on Russia: giants such as Gazprom and Lukoil are helping to rebuild and develop Syrian infrastructure, such as oil and gas pipelines. A customs corridor has been established for the trade of agricultural goods between the two countries, and Russian companies are investing in the telecommunications and technologies sectors as well. Therefore, apart from the demonstration of power in the international arena, Russia might also have other benefits from this relationship too. The latest poisoning incident targeting former Russian spy Sergei Skripal and his daughter in the English town of Salisbury outraged the international community. It is not the first instance that spies, politicians or businessmen formerly linked to the Kremlin suspiciously die on UK territory. However, interestingly, we are observing a shift as to who is targeted, which might cause the international community to revisit Russia’s covert activities on their territories. Not all enemies of the Kremlin, or more explicitly, of President Putin, die under mysterious circumstances, but the list is long enough to raise suspicion. Probably the most famous case of the post-Cold War era was the poisoning of Alexander Litvinenko in November 2006. The former FSB (Russian Federal Security Service) officer and defector to the UK accused the Russian secret services of staging acts of terrorism in an effort to bring Putin to power in the late ‘90s and claimed that the Russian president ordered the murder of Russian journalist Anna Politkovskaya in October 2006. Litvinenko was poisoned with a cup of tea laced with radioactive polonium at the bar of the Millennium hotel in Mayfair, central London, and died three weeks later. Litvinenko’s death was ruled murder by Scotland Yard with two former KGB agents (whom he met the day of his death) named as perpetrators. Scotland Yard’s investigation concluded in 2015 that “one way or another the Russian state [was] involved” in the murder of Litvinenko. This was followed by a series of high-profile murders and murder attempts: that of German Gorbuntsov, an exiled banker who survived after being shot four times while getting out of a cab in London, in March 2012; Alexander Perepilichnyy, a businessman who collapsed after allegedly being poisoned (with a toxin from a Chinese flowering plant that causes cardiac arrest) in Surrey, in November of the same year; Boris Berezovsky, an exiled billionaire and ally of Litvinenko, who was found hanged in his home in Berkshire, in March 2013, but whose death could not be unequivocally ruled as suicide; and Scot Young, an associate of Berezovsky, who fell from his fourth-floor apartment in Central London, in December 2014. Meanwhile, similar suspicious “incidents” happened in Russia as well: Stanislav Markelov, a human rights lawyer, and Anastasia Baburova, a journalist, were shot in Moscow in January 2009; Natalya Estemirova, a human rights activist and journalist investigating abductions and murders in Chechnya was taken from her home in Grozny and killed in July 2009; Boris Nemtsov, an opposition critic of Putin, was shot in Moscow in February 2015 after organizing a march against Russia’s military involvement in Ukraine; and lawyer Sergei Magnitsky who died in police custody in Moscow in November 2009, after allegedly being brutally beaten and then denied medical care. The case of Sergei Skripal, however, is different. He did not defect to the UK and did not accuse the Russian secret services, government, president or anyone else, of any wrongdoing. 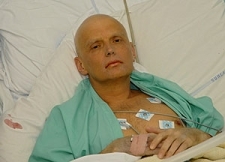 Unlike Litvinenko, he did not publish criticism of Putin. On the contrary, he was sent abroad on the orders of the Kremlin. Though he was later arrested for being a double agent (for the British) and sentenced to 13 years in prison for high treason, he was released after four years and received an official pardon from then President Medvedev. In 2010, Skripal was one of the three Russian agents who were part of the US-Russia spy swap, after the FBI arrested ten Russian sleeper agents working undercover in the US. He was handed over to the Americans and later settled in England. In light of his official pardon and the nature of previous killings, it is unclear why Skripal was targeted. If indeed the Russian secret services were behind it, as British investigators claim, the attacks reflect “a breakdown in the old etiquette of espionage”, as stated by Mark Galeotti, an expert of Russia’s spy agencies. According to Galeotti, retired spies are not considered to be a threat to the Russian government. They are usually left to live in peace since the information they have is mostly outdated and thus irrelevant. The case might be different for spies who defected (such as Skripal), but killing him after all these years goes against the usual pattern, not to mention that he was officially pardoned and forgiven for his crimes by the Kremlin. Skripal could have continued to work with the British intelligence services, as Litvinenko did, but there does not seem to be any evidence to suggest that this was the case. His murder, as Galeotti suggests, could rather be related to the functioning of the Russian intelligence community than about Skripal himself. Russians, including former agents, belong to the realm of the Main Intelligence Directorate (GRU – which Skripal worked for) and its “civilian” counterpart, the Foreign Intelligence Service (SVR). However, as Galeotti puts it, the FSB, the main domestic security agency, “is a very different service, one of political policemen used to operating without rules.” Other services are now adopting a similar culture and a sense of competition has developed between the different agencies. Thus, it might be possible that Skripal fell victim to this competition between the GRU and the FSB. 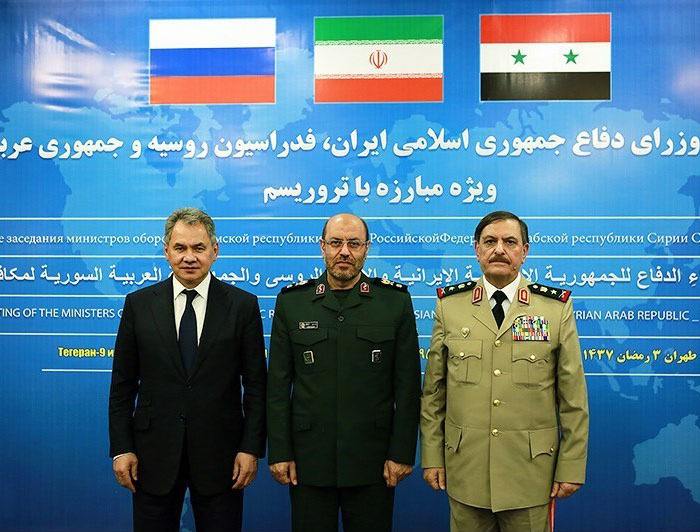 Starting with direct confrontations with neighboring countries, in recent years Russia has stepped out of its direct sphere of influence and intervened military in the Syrian Civil War. Apart from apparent political and economic gains, Russia also aims to send a message to the West: it has become a key player in the conflict that the US and Europe cannot avoid. Topped with the poisoning of its former spy Sergei Skripal in England Russia’s actions have forced the West to implement a series of economic sanctions and diplomatic steps in response. Part 4 focuses on the West’s reaction to Russia’s actions: the military, economic and diplomatic responses from Europe and the United States.